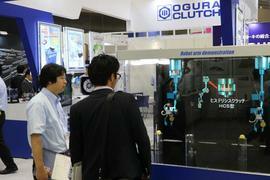 Last quarter, at the Mechanical Element Technology Exposition, held at the Tokyo Big Sight, a wide variety of Ogura clutch and brake products were presented to visitors.These included oil mist separators and superchargers. 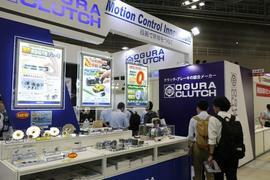 The theme for the show was motion control innovation. To help represent this, Ogura created a robotic arm that utilized holding brakes, hysteresis brakes, and new grip sensors. The arm picked up and placed objects with exact precision and repeatability.